Create Changes, an innovative dental company, is proud to announce their new digital scanner, the iTero 2 in the Cardiff Bay practice. The company is dedicated to bringing the best dental services to their growing customer base. The top of the range scanner does away with the need to take uncomfortable dental impressions and is considerably more accurate than the traditional method. Create Changes is recommended for Invisalign Cardiff and has the best Invisalign dentist Cardiff. Customer care is very important to the company and this is reflected in the quality of staff as well as the top of the range equipment. Create Changes aims to help their customers with all their dental needs. They know that the equipment used is a crucial factor in the success of their service. With that, they only utilise safe and highly innovative technology for the highest satisfaction of their clients. 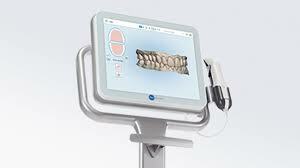 Their latest digital scanner iTero2 is an essential tool for them to perform dental services in the best possible way. With their team’s extensive knowledge and experience in the dentistry business, they assure that the patients will receive top quality Implants Cardiff, Invisalign Cardiff with the best implant dentist Cardiff. Aside from the quality of their work, they also prioritise other concerns of their clients. They understand that budget is a very important factor to many patients . With that, they provide their Invisalign and dental implants in an affordable way and can also offer an interest free credit option if needed. The company ensures that the patients can get quality implants and Invisalign without spending too much of their hard-earned budget. Create Changes is one of the top choice dental service providers in the market today. They offer affordable cosmetic dentistry in Cardiff to their customers without sacrificing quality. They have a team of expert dentists that perform dental operations thoroughly. They also use advanced technology to bring more customised results to their patients. For more details about Create Changes , visit their site at create-changes.com or email them at drpete@create-changes.com.